Did you know that our social hierarchies, rather than a product of Western patriarchy, are actually dominant hierarchies that are encoded in our genetics, as they are in every other species on the planet, dating back to lobsters who roamed the sea 350 million years ago? And that both genders are subject to this hierarchy? Did you know that our willingness to lie–even a little–determines our personal and political freedom? That Stalin and Hitler built their empires not on hate or propaganda (though both played a big role) but on their confidence in people’s abilities to tell, and live with, ”little” lies? And finally, did you know that the ancient Tao symbol, yin yang, represents order and chaos–the masculine and the feminine–and that Taoists believed a meaningful life was achieved only when you walk the line right down the middle? When you have enough order for stability and enough chaos for growth? Chaos is not a derogatory term here; it represents the unknown of birth and subconsciousness. (There’s a reason we’re complicated, ladies. And the men need us to be.) Too much Order and you get tyranny, too much Chaos and you get anarchy. Too much Order gets you cruelty; too much Chaos gets you inertia. And speaking of yinyang, did you know that many young men are in crisis today because they’re being told to get permanently out of yang (aggression, competition) and reside solely in yin (compassion, agreeableness) even though this is contrary to their very natures? Natures they are born with, not socialized into (see: lobsters.) This is bad for men, but bad for women, too–because women want strong, aggressive men as partners. (We do.) So when we socialize men away from their natural masculinity (i.e., tell them aggression is rude and competing is mean), we end up with men who are not aggressive but angry, who don’t compete but complain. Worse, men shamed out of their personal masculinity will often be attracted to radical, hypermasculine social and political ideologies (see: tyranny.) And women lose too, because instead of a partner who challenges and complements us, we get weak-willed, overgrown children. And goodness knows we don’t need another one of those to take care of. But even better than his ideas are the author’s method of explaining them. He draws on psychology (he’s a clinical psychologist), archetypal figures (he’s a university professor), as well as neuroscience, evolution, political history, literature, and–my fave–religion. Lots of religion, though this isn’t a religious book. But he understands religion’s role in our society, and it’s bigger than you think. 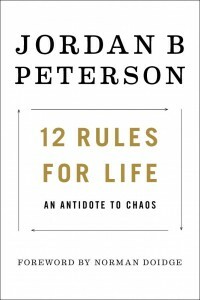 12 Rules for Life is the best book I’ve read this year and easily one of the best books I’ve read, ever. 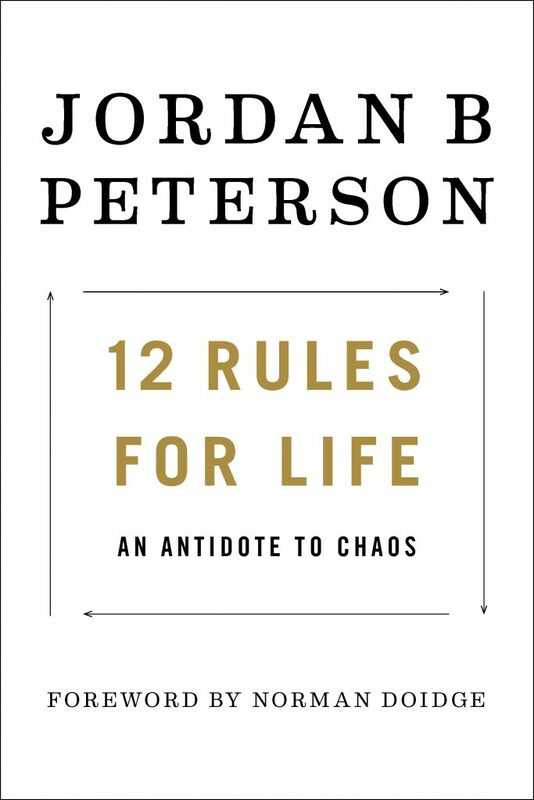 Peterson’s research is impressive but his tone so congenial. And funny. He’s a guy you want to know. That’s a litmus test for any writer, as far as I’m concerned, and this one passes with flying colors. As does the book. Read it and let’s talk! Because that’s one thing we can do that lobsters just can’t. p.s. I can’t believe I forgot to mention Rule Number Five: Don’t let you kids do anything that makes you dislike them. If you can’t or don’t want to read the whole book, just read this chapter. It’s my favorite one of all. On. point. All I know is that it’s different from a straw poll. Previous Article Buildable Volume Mascara, or: It works! It all works. Next Article Banned from my daughter’s tennis match.